WASHINGTON–U.S. House of Representatives Speaker Paul Ryan removed Representative Patrick Meehan from the House Ethics Committee on Saturday following sexual misconduct allegations, Ryan’s office said. Earlier Saturday, the New York Times published an article saying Meehan, 62, used thousands of dollars of taxpayer money to settle a sexual misconduct claim from a former female aide who accused of making unwanted romantic overtures. Ryan told Meehan to repay whatever taxpayer funds were used to settle the case, the speaker’s spokeswoman, AshLee Strong, said in a statement. Reports by the Times and other news media did not further specify how much public money was spent. 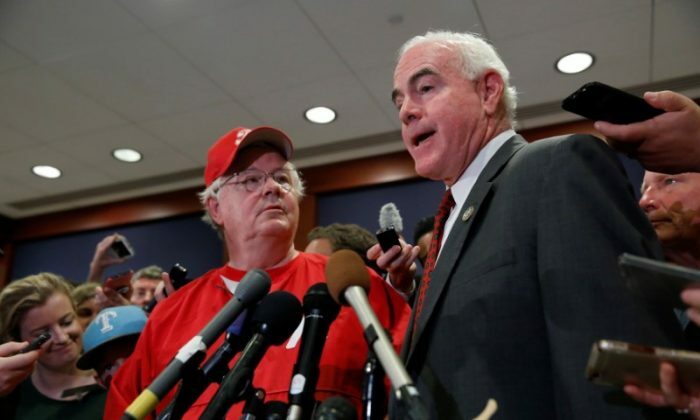 Meehan, a Republican congressman from Pennsylvania, denied allegations of inappropriate behavior brought against him by a employee, his spokesman, John Elizandro, said in a statement on Saturday. The employee’s accusations were investigated, Elizandro said, without giving further details. Meehan requested that the congressional attorneys handling the case ask the complainant’s counsel to release all parties from their confidentiality requirements to ensure a full and open airing of all the facts, Elizandro said. Meehan also sits on the Ways and Means committee, the House’s main tax-writing panel. The allegations were the latest in a lengthy series of accusations by women and men who say they were victimized by high-powered men in entertainment, the news media and government, including producer Harvey Weinstein and “Today” show host Matt Lauer. Former Democratic Senator Al Franken of Minnesota, was the third lawmaker facing misconduct allegations to leave Congress following Democratic Representative John Conyers and Republican Representative Trent Franks. Two other congressmen, Democrat Ruben Kihuen and Republican Blake Farenthold, have said they will not seek re-election next year.